Polyvinyl Chloride, or PVC, is a plastic-like product used in many applications. The most traditional use for PVC is in PVC piping; however, its versatility has developed a wide variety of uses—such as plastic bottles, packaging, credit cards, and even clothing. Another use for PVC is flooring. Several companies produce wood-like PVC for use in outdoor decks. AZEC, TimberTech, Tamko Building Products, and Wolf Home Products are large manufacturers of this product. Well-made and designed PVC decking re-creates the look of wood without the maintenance required with a hardwood or composite deck. Wooden decking often requires staining, sanding, and other maintenance. PVC decking is advertised as requiring none of this work and thus has risen in popularity in recent years. As such, consumers and homeowners pay a premium for PVC decking products in exchange for the advertised low-maintenance, durable product. PVC is also advertised and represented as less expensive in the long-run than all-wood or composite deck alternatives due to the supposed lesser degree of required maintenance. Unfortunately, not all PVC decking is well-made. Since PVC decking entered the market in 2007, its popularity versus other decking options has risen, and common complaints about certain PVC decking products have also become apparent. 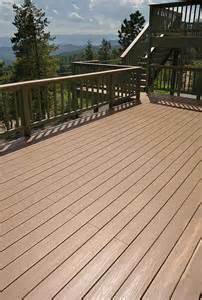 Certain PVC decking products are prone to peeling, staining, deteriorating, and mold accumulation after relatively short periods of time. Some of the PVC decking subject to these complaints is manufactured by AZEC, TimberTech, and Wolf Home Products. Common consumer complaints all follow a similar story line, after only a year or two or three, the beautiful PVC decking the homeowners paid a premium for was already deteriorating, peeling, fading, or becoming moldy. AZEC, TimberTech and Wolf Home Products offer manufacturer’s warranties with their products. However, while these PVC decking product warranties guarantee replacement of the defective product, oftentimes, homeowners are greeted with resistance from the manufacturers when they make claims to get replacement decking pursuant to their warranties. Occasionally, even when the manufacturers agree to replace the decking, they refuse to pay for the labor required to install the new decking product. These labor costs can be significant—at least up to several hundred dollars. The high occurrence of these PVC decking problems and complaints given the promises and advertisements of the manufacturers that the decking is long-lasting, durable, and fade- and peel-proof indicates that certain of the PVC decking may be defective. Products, such as the PVC decking can be defective as a result of the design of the product (in which case, all product designed the same way using the same materials is defective), or they can be defective as a result of a defect in the manufacturing process (in which case, all product manufactured in the same way is defective). The experienced attorneys at Cafferty, Clobes, Meriwether & Sprengel LLP are investigating these defects. If you purchased PVC decking, which peeled, faded, deteriorated, or became moldy, and the manufacturer has not honored your warranty or has required you to pay for labor costs to replace the defective decking out of pocket, please contact the attorneys Cafferty, Clobes, Meriwether & Sprengel LLP for more information about a potential class action litigation.